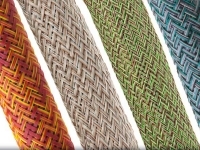 Flexo over expanded braided sleeving has many uses where inexpensive bundling and management is the principal consideration. 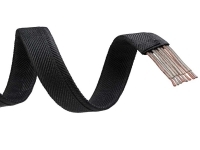 Created to provide a fast and easy solution for automotive and marine wiring, flexo over expanded expands to nearly 4 times its nominal diameter, easing installation over large plugs and connectors.The open construction allows the underlying harness covering to show through for a unique and attractive assembly. The material cuts easily with a hot knife for a fray resistant end. 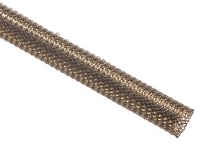 Flexo PET Overexpanded will ensure that there's a perfect size to accommodate any wire management requirement. 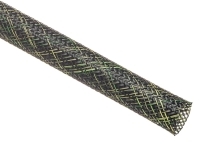 From covering single wires to managing bundles of cables up to nearly 5" in diameter, Flexo PET Overexpanded provides the ideal solution.